Though there are some preventive measures and procedures that can help to keep pest infestations at bay, still there is every chance that your home can be infested by them. In such cases, it is always recommended to hire a pest management service in your locality that can help ward off these pest issues. If you are unable to identify the pest, you can look up for information on pest control and pest websites to know about them. Check out information on them and most importantly whether it is possible for you to handle it yourself. If any potential changes to the landscape and house can help eradicate to the infestation, try it first. 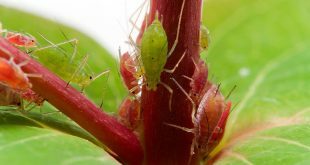 Try pest resistant trees and shrubs. If you can do it yourself, you need not call for professional help. But most often than not, infestations require expert hands and it is advisable to hire a professional service. Ask friends, family and neighbors for recommendations for an apt pest control service who can provide the right relief for you. Find out the services offered by the companies and how they offer them. The non toxic alternatives used by them if any and also the kind of exclusion methods they use. 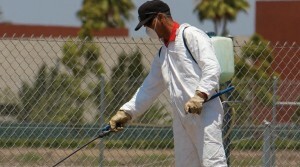 Ask the pest management service to inspect and review the site. The expert who visits can offer you the options on hand. Review the solutions listed and choose the one that will offer you a long term solution.